But disasters and crises are not always the result of natural causes. They can also occur in the form of complex emergencies, such as food shortages, disease outbreak, migration events, and/or terrorism. Regardless of the cause, the need for governments around the world to prepare for, respond to, and recover from disasters and complex emergencies is greater than ever before. Disasters and Complex Emergencies are big data problems that require public private partnership (P3) solutions. Further complicating this situation is the growing prediction that the majority of the world’s population will live in cities by 2050. How will this population shift affect the impacts of disasters and complex emergencies? How do we build urban resilience? What is the role of smarter cities? 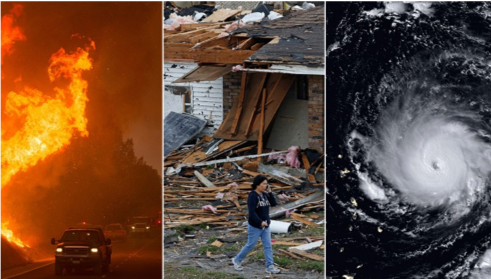 With the advances of technologies like cloud, AI, and predictive analytics, how can we leverage these new capabilities across all aspects of the disaster management life cycle?